Cystaid Plus for Cats is a nutritional supplement to help maintain healthy bladder function. 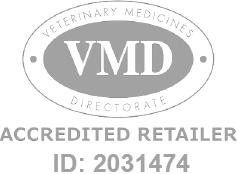 Cystaid Plus Sprinkle Capsules for Cats is a Prescription Only Veterinary Medicine and by law requires a prescription from your vet. A nutritional supplement for the management of lower urinary tract function in cats to help maintain a healthy bladder. Cystaid Plus is presented in capsules and can be used for short or long term support. Capsules can be opened and mixed with food, or given whole.